Fellowship tours to Pigeon Forge are always a big hit! Use the following outline for your congregation. Have a four-course dinner at the Dolly’s Stampede while enjoying great entertainment. You won’t want to miss all the thrilling tricks and stunts at this phenomenal all ages show. Start the day at the Country Jamboree Breakfast Show with a hearty meal and the gospel harmonies of the Blackwoods. 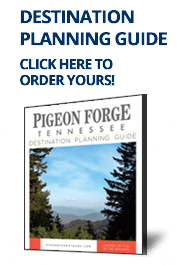 See Pigeon Forge’s heritage firsthand on a tour of the Historic District of the Old Mill. You can even get in some shopping at the stores surrounding Patriot Park. Then follow up the venture with lunch at T.G.I. Friday’s. See a spectacular performance at the Smoky Mountain Opry. End the day with pizza and games at Big Daddy’s Pizzeria and Arcade. Enjoy an All-American breakfast at either the North or South Shoney’s locations, followed by shopping at Pigeon River Crossings where you will find outlet stores such as Nike, Easy Spirit, Casual Male and more! Spend time with some celebrities at the Hollywood Wax Museum. Then get a savory meal at Bullfish Grill. Round out the day in true Southern style with country classics and today’s hits at Country Tonite Theatre and dinner at Mama’s Farmhouse.